A beautiful representation of a medieval era shield called a targe, the 15th Century Round Shield is an exquisite decoration that is perfect for displaying your interest in the various equipment used in medieval warfare. Targes were a popular choice of protection during this historical period in Europe, originating in Spain and eventually becoming widely used internationally for war and jousting. Exemplifying the qualities of a targe, this shield is circular in shape and around 20 inches in diameter. 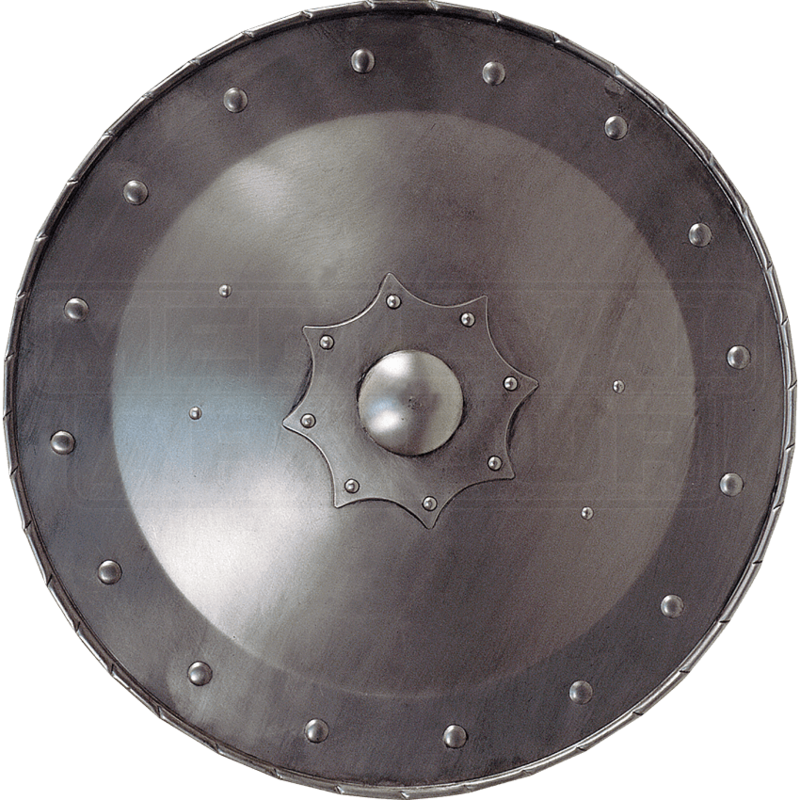 At the center of this shield a metal shield boss is featured, greatly enhancing the effectiveness of this design by creating a surface weapons will glance off of when properly blocked. The 15th Century Round Shield is crafted from steel to improve the authenticity of its design and enhance its historical appeal when displayed.